On Scene: An Embroidery Sale You Cannot Miss! An Embroidery Sale You Cannot Miss! 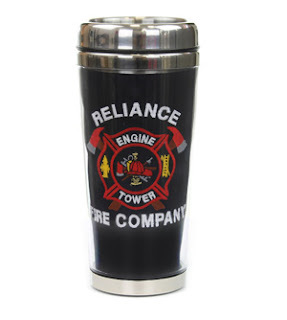 Many of you know we have our very own Embroidery/Embellishments Department at TheFireStore! In fact, they've been featured here on our blog before. Well, right now we have a great sale event going on, featuring 50% Off all Custom Embroidery on the products you know and love! You can get your job shirts embroidered and customized, as we've got plenty of options in the job shirt arena. You can check out our selection of hats, beanies and polo's--all of which look great with custom embroidery options embellished on them! 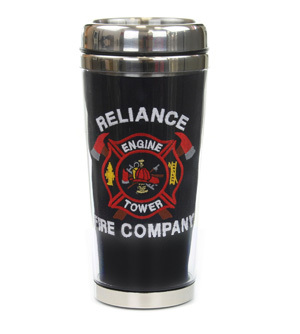 Let's not forget our Customizable Travel Mugs......they make amazing gifts, even! Don't let this 50% off Custom Embroidery Sale pass you buy! With embroidery at only $3.75, how can you beat it? 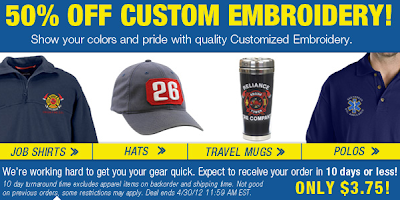 Get shopping & click "customize" to add embroidery options today!